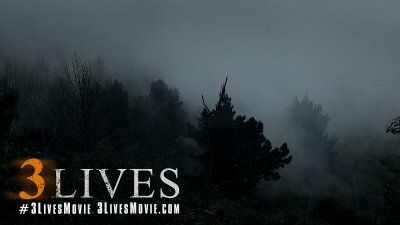 Your upcoming movie 3 Lives - in a few words, what is it about? 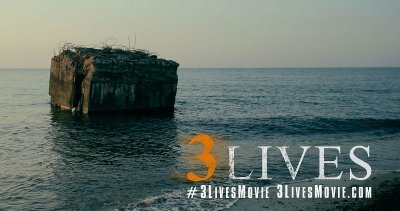 3 Lives tells the story of Emma, a woman who wakes to find herself trapped in an abandoned bunker at the sea with no idea how she got there. She realises that there are two other victims trapped with her but all is not as it seems - one of these men was sent to prison for attacking her fifteen years earlier - and is her only means of escape from their savage captors now. Not knowing who to trust, Emma can only run and try to escape the demons of her past. How did the project fall together in the first place? And how did Thora Birch come on board as not only the lead actress but also as producer? 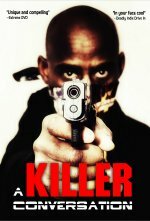 The initial idea was going through different stages: I always wanted to put my protagonist into a dilemma with no easy and morally correct way out. I believe with the right trigger everyone of us is capable of gruesome acts, may it be out of fear, to ensure survival or maybe revenge. When developing the idea into a story with author Wolf-Peter Arand it became clear, that the actual theme of the movie is how to deal with your past, specifically if somebody has done you wrong. People have a choice. I contacted Thora after my executive producer Stacey Parks suggested her for the lead role, and Thora understood the entire subtext of the film. We were thrilled to have such a talented lead actress for Emma. One of Thora's requirements was to act in producing capacity as well, to ensure the project is going the right way. For us, that was a no brainer. To add her to the producing department definitely is a win for us! What can you tell us about your screenwriter Wolf-Peter Arand, and what's your collaboration with him like? Wolf and I met when working on a sci-fi story called Vitro and during the collaboration realised that we share very similar ideas about theme, plot, and story. The brainstorming sessions became a bit like a match, where we were able to pass the ball back and forth, each building on the ideas of the other. That initial collaboration developed into more projects, and I simply love working with him and his dedication to detail. Wolf won't stop until the result is something we are both totally happy with. 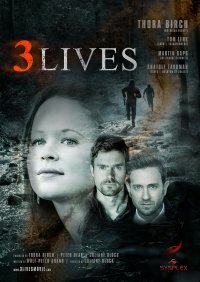 With 3 Lives being a psychological thriller, is that a genre you're at all fond of, and how would you describe your approach to genre-filmmaking as such? If you talk about genre filmmaking in general you are actually covering a wide range of subjects and genres. Personally I like action and sci-fi the best if you talk about genre, however more importantly I like films which have a substantial topic at their core: a valid moral theme. I actually needed some time to realise that for myself. So, the best genre films - in my point of view - are actually movies which touch profound subjects but wrap it into a genre, so the audience enjoys the emotional ride. During my visits at several film markets the last year I heard the term "elevated genre". I like that term. 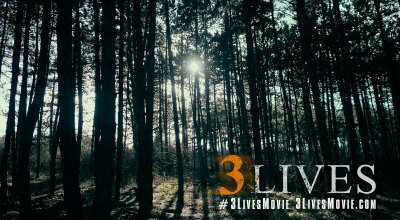 Regarding 3 Lives: there was a tendency at first to classify it as horror thriller. However horror doesn't really fit the genre. The Spanish have another term, called terror, which describes the horror created by humans without the supernatural element. 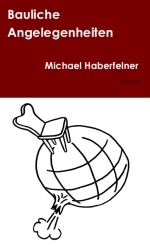 That actually would have been a fit, but in the lack thereof in the English language we believe psychological thriller is just the best term to describe the danger which comes from within our characters. The right locations seem to be the one of the key elements of your movie, so what can you tell us about yours, and where do you see the advantages and challenges of filming there? The story we are telling is purposely not set in a very distinct environment. The story could happen anywhere, because it's a universal story. The forest and the sea could be anywhere in Northern Europe or North America. We chose specifically the Baltic Sea, because we knew about the concrete bunkers, which dropped years ago into the sea and just make an awesome scenery. For the specific forest location we combined looks with accessibility. We have a very tight shooting schedule, and therefore won't be able to travel miles and miles to get to the next location. When doing the location scouting tour with Sysplex Film in Hungary, we were able to find nice spots for all locations just a 30 minutes drive from Budapest. Furthermore, we will be able to have a base camp accessible via truck very nearby. So far I don't see that many challenges from the actual locations itself. However, our shoot is almost entirely outdoor, and that can prove a real challenge if the weather doesn't play along. What can you tell us about the intended overall look and feel of your movie? We are treating the forest as character in our film. The forest itself adds atmosphere and is a symbol for the unknown, hence will be a bit scary and mysterious. For the camerawork we have watched war movies. Our characters are fighting their very own war in the wild, and that's something we will draw from. Anything you can tell us about your projected key cast and crew yet, and why exactly these people? Tom Lenk and Martin Kaps will star alongside Thora. I worked with Martin Kaps before and actually never really considered anybody else for the role. He was one of the first we attached to the project. Tom Lenk came up during extensive research who we could imagine playing Jamie. We had a deep discussion about the character (of which I can't reveal the details, otherwise I would totally spoil the film). However, I can say that he is perfect for the role :) I've had various chances now to talk and discuss with Anatole - and he is truly one great actor to work with. Always encouraging, and very positive thinking. As for the crew: we are still working on it, but with my co-producer Sysplex Film I have access to some very talented people in Hungary who usually work on big Hollywood productions. 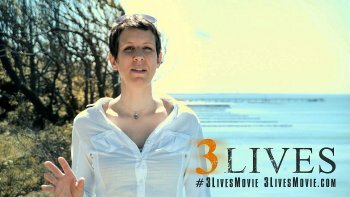 As far as I know, you're currently running a crowd-investing campaign for 3 Lives - could you at all explain? I have done crowdfunding campaigns before, and I believe it's a great way to test your market value and your project. Nevertheless the biggest asset a film has is the film itself. And the value of a DVD, a download or a movie ticket usually doesn't exceed 15 USD. Therefore I personally find it hard to ask for much bigger contributions. Crowdinvesting is a nice alternative, because, first of all, we want to make money with 3 Lives, to ensure we can continue our career as filmmakers, and when offering a real investment, the crowd participates in the profits. We were looking into private equity investors as well (and still are) but it's tough to find a single investor in the 200 - 250k range. It's too much for a small, private investor, but way too little for the big guys. The paperwork involved in investing 250k is as much as if you'd invest about 1 mio. Therefore they usually don't invest in low budget indie films. That's why we turned towards crowdfunding, to enable investors to give small amounts of money and still making a difference. Once your funds are raised, what's the schedule, and even if it might be waaay to early to ask, any idea when and where the film might be released yet? Basically crew and cast are ready to shoot. All we need is to close the funding. In the crowdinvesting campaign we have announced the shooting date for September 2016, however, are evaluating the option right now to shoot earlier than that (early 2016). I am in discussion with the production design department and the DoP, if we can design the shots in a way, that we use spring to our advantage, which means the new hope coming with spring should contrast the story. Any future projects beyond 3 Lives? Yes! 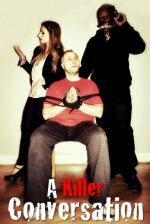 I am working on a sci-fi action feature (called Foster) in collaboration with a producer in Hong Kong, and I have another mystery thriller on my slate. We haven't decided if we shoot the latter in German or English. Your/your movie's website, Facebook, CineDime, whatever else?